"The Old Vic presents Future Conditional, a bracingly topical and boisterously funny new play directed by Matthew Warchus and starring Rob Brydon, with a cast of 23 young performers. 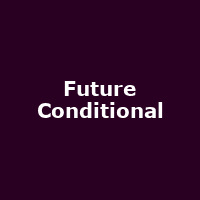 Future Conditional tackles the conundrum of British schooling through a myriad of characters including parents, teachers, and Alia, a prodigiously clever young Afghan refugee and the newest member of Britain's Education Research Board. Alia has a radical solution for Britain's schools that could restore our place in the world education league. But is the system ready to take lessons from a schoolgirl..?"